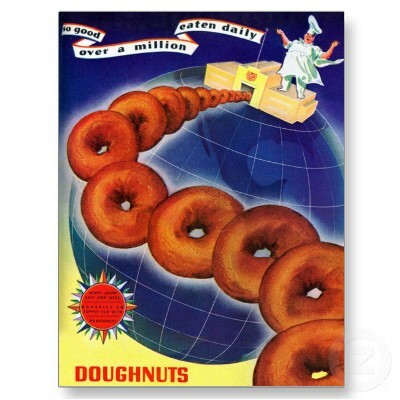 Today is National Donut Appreciation Day. This is not the same holiday as Doughnut Day which falls on the first Friday in June. 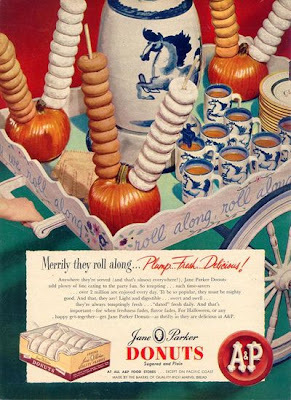 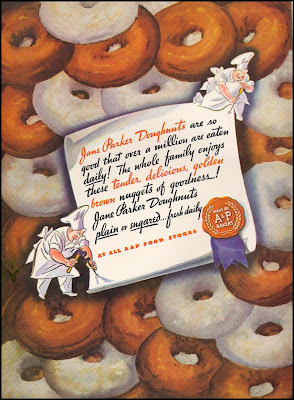 So in honor of the holiday, and I do appreciate a good donut, I'm posting several Retro Ads from the 40s, 50s and 60s for Donuts! 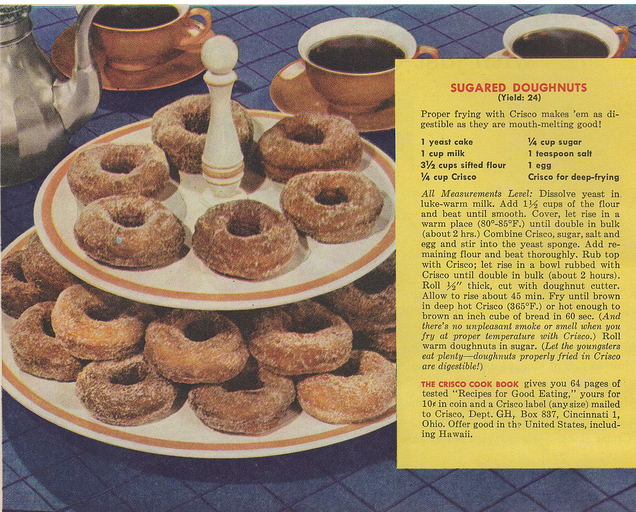 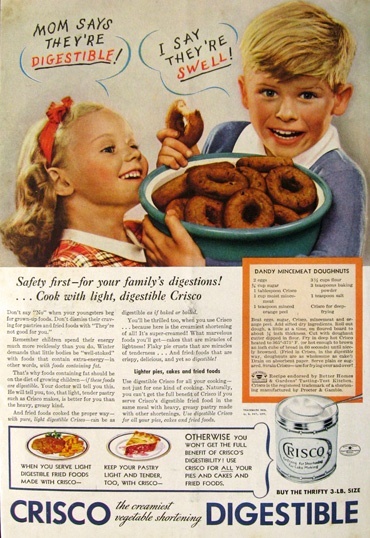 Scroll down for a Crisco Sugar Donut recipe from the Crisco Cookbook.